No matter how long you’ve been running or how fast your times, there’s always room for improvement. I’m a gearhead. from the time I was a kid and first threaded a nut onto a bolt, I was fascinated with mechanics. So when I was invited to speak to Honda’s running club during the company’s Wellness Fair, I jumped at the opportunity. I would talk about running – Honda of America Manufacturing, in Marysville, Ohio, which makes the Accord as well as GoldWing motorcycles, helps associates train for and run the Los Angeles Marathon. They would give me a private tour of the assembly plant and use of a GoldWing for three days. Where else could I have the chance to meet a group of like-minded souls who share my two passions: running and mechanics? 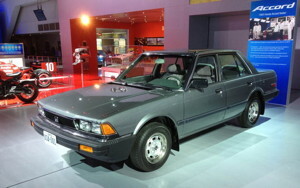 On display at the Wellness Fair was a 1982 Accord, the first produced at the Marysville plant, and a 2008 Accord, the latest generation of what has become the second-best-selling automobile in the world. Comparing the two models side by side, I was surprised by how wholly unimpressive the earlier model looked. It seemed crude, unattractive, and, well, poorly designed and executed. It was as if someone had cobbled together a car using whatever parts were available. By comparison, the new Accord was an absolute jewel. Its paint and finish were so impeccable that it looked like something that had been sculpted from a single block of granite. Then it occurred to me: the 1982 model was – at the time – the product of the brightest minds at Honda. 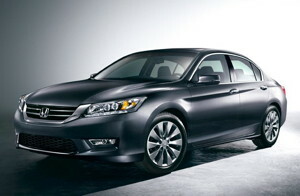 The automobile engineers behind the Accord used the best information and technology they had to build the finest car they could. It was, simply put, the best automobile that Honda had ever produced. Before I discovered running, I was living my life with the best information that I had available to me at the time. I had never been an athlete, didn’t know anyone who was an athlete, and so I could only compare myself to others who were just like me – who drank and smoked and ate too much. But just as cars evolve from earlier models, so do we as runners. We start out knowing very little about the sport – and even less about our own abilities. But with time, patience, and persistence, we discover exactly what we are capable of accomplishing, whether that means running our first race, setting a PR, or conquering a new distance. I’ve also learned that this evolution is a never-ending process. To become a better runner, a better person, or even to build a better car takes the courage to examine our best efforts and understand that there will always be room for improvement and growth. None of us, though, can accomplish this forward progress by looking back through the rearview mirror. While I’m proud of my early years as a runner when I set PRs in every distance, I don’t hold those days up as the standard by which I judge my running today. My times are slower now, but I’ve come so much farther mentally, physically, and emotionally compared with where I started. But I’m not about to become complacent with where I am. Like the engineers at Honda, I still have plenty of design flaws that I need to work out, and I’m looking forward to seeing what changes the future may hold.